to sell Pogba following their reported fallout, the tactician should sign Messi to give the Red Devils a chance of being successful again. "Mourinho's buys have been diabolical and the way he wants them to play football, not just now, this is since he came, all that defensive football, hoping for a breakaway – that's not what I want to watch and it's not what Manchester United fans want to watch," Morgan told Love Sport Radio. "If he was winning and he was getting away with it, you could say 'at least he's gone the right way'. "But he's not and it's the standard of player (that is the problem). I advocated Mourinho coming. "I thought he'd be great and I thought he'd come and say 'okay, this is Manchester United, this is how they play' and join in. "But he's reverted to probably why he got the sack at Chelsea and the sack at Real Madrid. He's reverted to that. But you can't blame him completely. "He's brought in (players) who he thought would be alright, they're not. It's not for lack of trying from the manager's point of view. As a manager, if you're sat there, you're relying on your players. "It's soul-destroying if they're not doing it for you because, at the end of the day, you're responsible. The players that are there now would not be there under Pep Guardiola. "I think Pogba will go because you cannot have that festering behind the scenes. There will be pockets with him, pockets against him… you just can't have it. "Something has got to give and I think he will go. 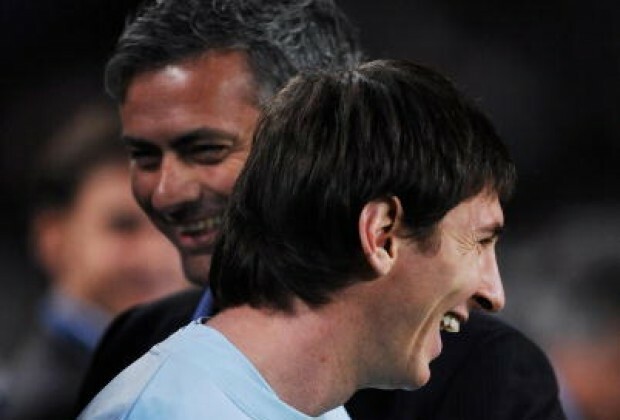 And hopefully, (Mourinho will) buy Lionel Messi and then we might have a chance!"